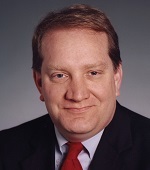 Tim McNulty is Associate Vice President of Government Relations at Carnegie Mellon University. In this role he supports Carnegie Mellon faculty by enhancing collaboration with federal, state and local government partners. Previously McNulty was Associate Provost for Strategic Initiatives and focused on the development of programs in cyber security, energy technology and robotics. McNulty joined Carnegie Mellon in January 2003 after more than 7 years in service with Governors Tom Ridge and Mark Schweiker. This included serving in the Department of Community and Economic Development and in the Governor’s Office as Deputy Chief of Staff for Technology Initiatives. McNulty assisted the design of the Digital and Life Sciences Greenhouses and Pennsylvania’s $2 billion investment in life sciences research. He also participated in successful efforts to restore commercial shipbuilding at the Philadelphia Shipyard, coordinated the development of the community college free tuition initiative for unemployed workers and the passage of legislation providing Pennsylvania industry a quality guarantee for workforce training programs. McNulty led the Pittsburgh Regional Revitalization Initiative in 1994 for the Allegheny Conference on Community Development and previously directed a regional technology development consortium at Argonne National Laboratory. He was also the executive director of the Council of Great Lakes Governors. McNulty holds a Bachelors degree from Indiana University and a Master of Arts from the University of Illinois at Chicago.